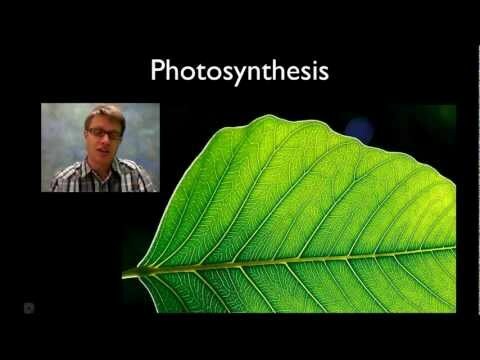 What two things does photosynthesis give us? What is this big green structure called that contains all of these smaller structures being discussed? What are the two reactants in photosynthesis? What are the two products in photosynthesis? Where do the light dependent reactions take place? Where do the 'dark' or light independent reactions take place? What is a waste product at this point? What two chemicals are made at this point? This series of reactions is taking place in the _____ membrane. What two reactants are going 'in' to this first set of reactions? What is the name of the big purple area being discussed here? What are being 'passed' down these series of reactions? Where did the H+'s come from? What is the name of the structure that acts like a revolving door to let H+ pass through? Where in the chloroplast is this Calvin Cycle taking place? What is the name of the carbon compound made as a product in this cycle? What two things do you need in this cycle to make it work? When would a plant not have enough CO2? Write a short statement summarizing photosynthesis.